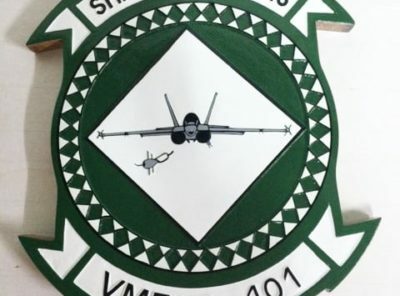 14 inch solid wood plaque of the VT-86 Sabrehawks – a perfect plaque to start displaying your Naval Aviation lineage collection. 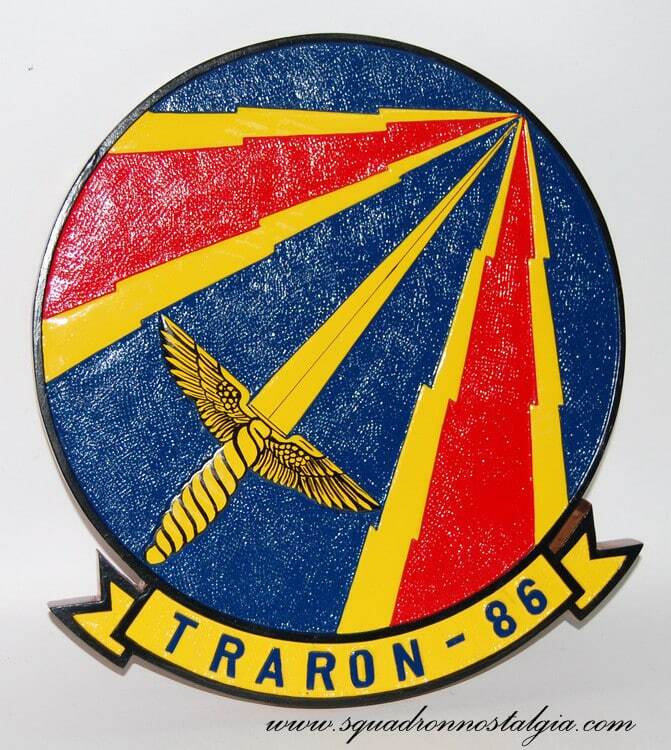 Training Squadron EIGHT SIX is known by several names: TRARON EIGHT SIX, VT-86, or simply the SABREHAWKS, a name derived from the T-39 Sabreliner and the TA-4J Skyhawk. 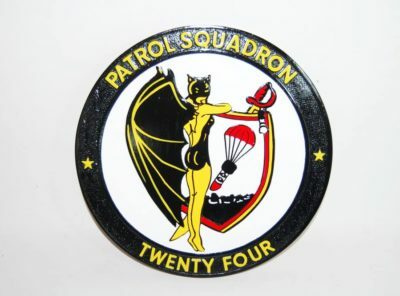 The squadron was commissioned in June 1972, under the operational control of Commander Training Air Wing EIGHT, Naval Air Station, Glynco, Georgia. The training of Naval Flight Officers was executed in four original disciplines: Radar Intercept Operation, Basic Jet Navigation, Airborne Electronic Warfare and Airborne Tactical Data Systems. 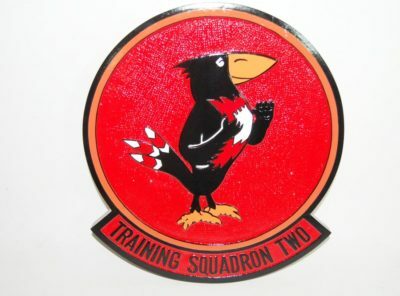 Training was conducted in aircraft assigned to and supported by NATTC until February 1973, when the squadron accepted 24 T-39G, 20 TA-4J, 2 E-121K, and 12 TS-2A aircraft and approximately 350 enlisted personnel. After receiving the aircraft and personnel, the squadron’s mission was expanded to include flight support for Air Intercept Control and Ground Controlled Approach training functions. 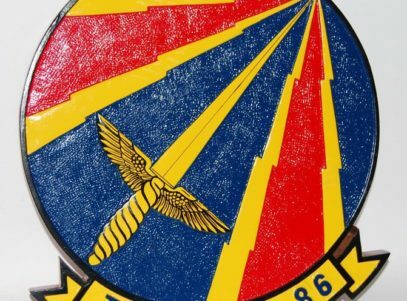 In March 1974, a Sabrehawk detachment was established at Naval Air Station Pensacola, Florida and on 1 June 1974, the squadron commenced flight operations under operational command of Commander, Training Air Wing SIX. 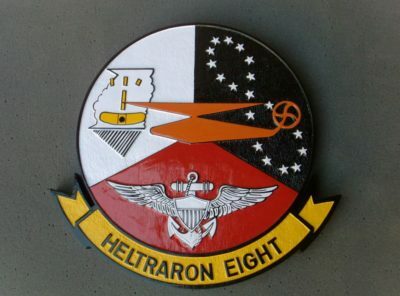 In 1994, VT-86’s role was expanded to include the training of U.S. Air Force Weapon Systems Officers (WSO). Additionally, in 1995, the squadron began of training international military officers from Saudi Arabia, Singapore, and Germany. In 2008 the T-2C Buckeye completed 51 years of service in training naval aviators and flight officers with its last flight being conducted by VT-86 personnel. The T-45C Goshawk replaced the T-2C as the premier Advanced Naval Flight Officer training platform. 2010 marked the final year of Air Force WSO training by VT-86. 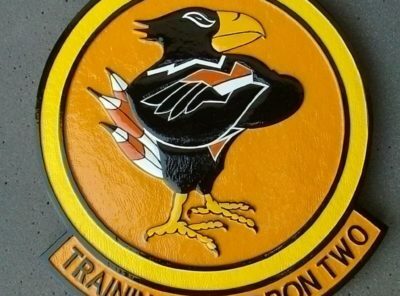 In 2014, VT-86 added the Virtual Mission Training System (VMTS) to its Goshawk aircraft which gives students the opportunity to train to missions they will fly in future platforms. 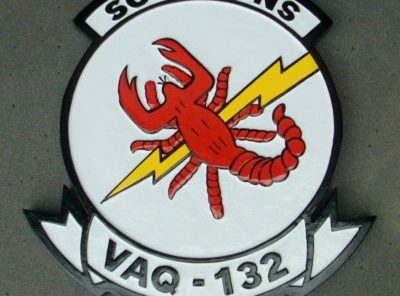 Currently the squadron trains over 150 students annually, and to date, has provided the United States military and Allied forces with over 7,300 NFOs, WSOs, and Navigators flying various tactical aircraft worldwide. Upon completion of the program, students will undergo further training at their respective Fleet Replacement Squadron. Naval Flight Officers will go on to fly F/A-18F Super Hornets or E/A-18G Growlers; Marine WSOs will fly F/A-18D Hornets; German WSOs will fly PA-200 Tornados; Saudi Arabian Navigators will fly F-15S Strike Eagles; and Singaporean Navigators will fly F-16 Fighting Falcons or F-15SG Strike Eagles. 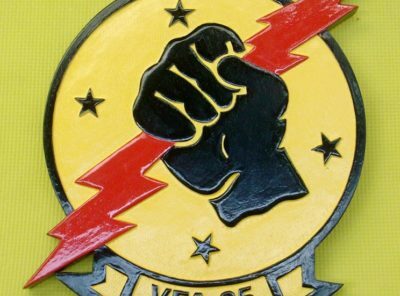 VT-86 is staffed by 47 Navy, Marine Corps, and international officers, 11 civilians, and is supported by 14 Associates and 14 Reservists. Since its establishment, VT-86 has received numerous awards to include the Meritorious Unit Citations, the Chief of Naval Air Training (CNATRA) Training Excellence Award, the CNATRA Retention Award, the Chief of Naval Operations Safety Award, 23 CNATRA Safety awards for accident-free operations, the Admiral John H. Towers Safety Award, and the Chief of Naval Education and Training (CNET) Shore/Technical Training Excellence Award.